This sauce goes by two names in my family, creamy roasted red pepper sauce or Happy Dance Sauce, the name my beautiful sister gave it as the first time she tried it she did a wee happy dance round her kitchen. Unfortunately I didn’t have my camera near to take a photo of her in action!! 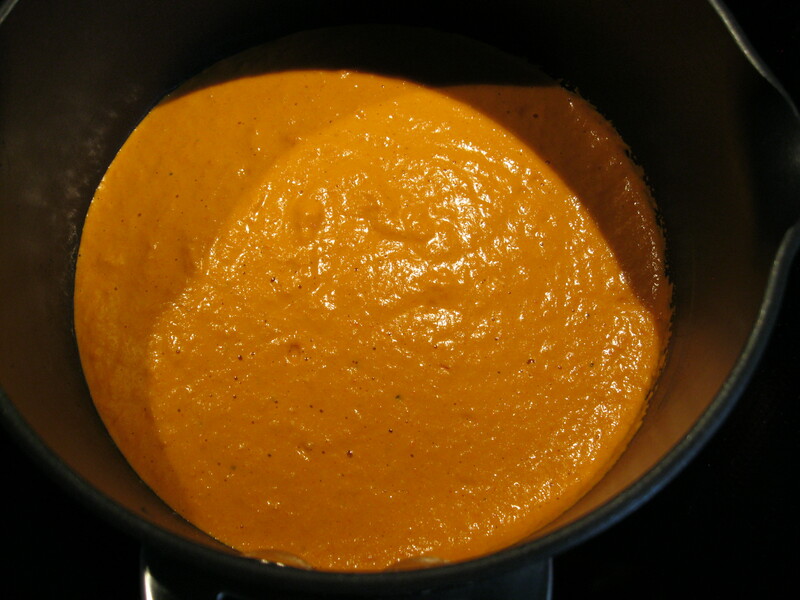 The sauce originally started as a Romesco sauce that I saw in a Prevention magazine. In my usual way, I’ve re-worked it and Beccy-fied it and this is the final result. It’s great over pasta, over chicken or veg. Now some people may read the ingredients list and think I’ve lost my mind using cashews in the sauce but trust me on this, it really does work. Since I can’t have dairy I have discovered that nuts, cashews, almonds, walnuts et al go creamy once blended. Genius! Plus nuts are far healthier than cream so that’s a winner in my eyes! Some notes on the recipe. 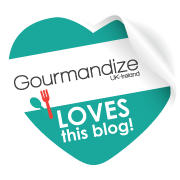 If using roasted peppers from a jar, take caution when adding the red wine vinegar as some jarred peppers already contain vinegar, this is why I suggest adding a teaspoon of vinegar at a time – it’s easy to add more, not so easy to take it out!! I find the longer you soak your cashews, the creamier the consistency of the sauce. 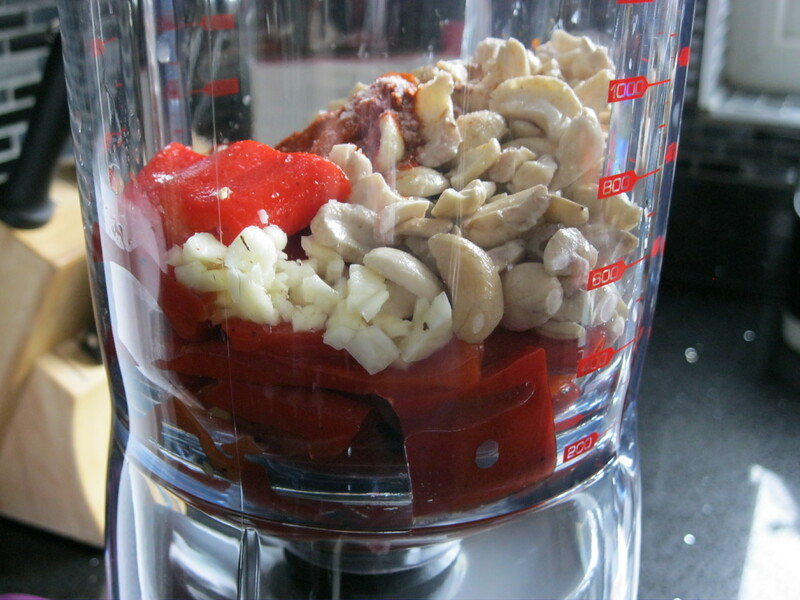 If you are not keen on cashews, almonds also work well, again soak them before using. Put all ingredients, except red wine vinegar and salt, in a blender and blend until smooth. Add a teaspoon of vinegar at a time (approximately 3 teaspoons is equivalent to 1 tablespoon), check for taste and add more if necessary. Add salt to taste and give everything one last blend. Warm in a pan before serving. 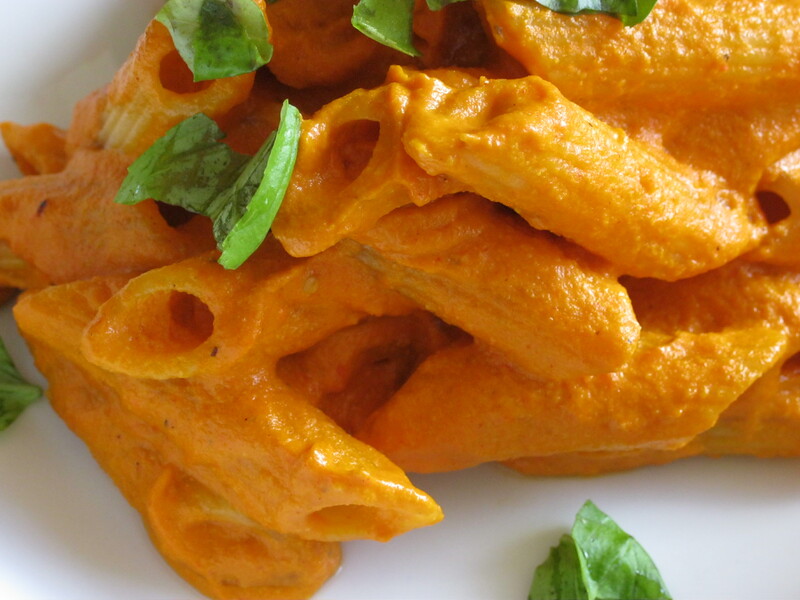 This sauce freezes well and stores in the fridge for up to 2 days – if it lasts that long! !